The idea Mahere came from a need for generic data visualization. If the user imported any dataset, the tool would analyze it and provide the appropriate visualization. As a proof of concept, the team focused on one scenario – the considerations of someone moving into a new suburb, perhaps from a different city or country. Mahere in Te Reo Maori means “plan” and accurately represents our objective with this tool. To give users better tools for planning a decision – such as moving into a suburb – which has long-term consequences. When considering moving into a new location or suburban home, a family often looks at population density, crime rates, house prices and education quality (measured by decile). Our app visualizes population using a heat-map and provides both historical and predictive data. There are however, other widgets that display graphical representations of crime rates, house prices etc. which makes it easier for the user to interpret the data. For visualization, a ‘time-slider’ will be used to move through time-series data. All time-series data will also have a geo-location (at a suburban level) attached to it so that it can be mapped via the Google Maps API. Crime information – recorded crimes. When a particular suburb is selected, the widgets will automatically show the data relevant to that suburb. The time slider will show the population heat maps for suburbs and also defines the time value for the widgets to reveal widget-related data e.g. crime for that particular period of time. For simplicity, we have selected about 50 suburbs in Auckland. This will be discussed later on the challenges that we have faced. The time series data mined is as follows. Crime rates – but for simplicity, we have taken only the recorded crimes. The project makes use of open government data. Most of the project's data is based on Statistics NZ's time series data. The project provides visualisation of the time series data. Some of the data is aggregated based on suburbs due to the fact that the data retrieved is not consistent in suburb naming. Some data sources break down the suburb in north, south, east, west and central locations within the suburb. The I-Mahere project aggregates all the open data on information someone may want to consider when moving into a new suburb and visualises this on a map. At a glance, users can see which areas of Auckland that have the lowest crime rates, low to medium density, the average house pricing and the highest school decile rating as well. This data journalism project aims to provide a tool for anyone who wants to relocate to make more informed long-term decisions based on their own interpretation of the projected population with all other current data. Due to inconsistent data, especially regarding suburb naming, aggregation of data was difficult and timely. Data providers should agree on common dimension such as suburb names in order to make integration of data simpler and therefore make application development more efficient. Suburb names being different, matching time series data and geo-location data was highly time-consuming. One way of doing this is for Statistics New Zealand to provide such information in a standardised manner such as using SDMX for defining the metadata such as suburbs concept and codelist. Each data provider would then be able to provide data based on the common codelist. Some of the features would certainly include the followings. With enough & varied data, this application can evolve into a tool of choice for Member of Parliaments to look into their constituency data to improve the community's facilities. If we could get data well into the waters and ocean, this could even be the tool of choice for environmental agencies. 1. Past population data from StatsNZ http://nzdotstat.stats.govt.nz/wbos/Index.aspx?DataSetCode=TABLECODE8002 2. Projection data from StatsNZ http://nzdotstat.stats.govt.nz/wbos/Index.aspx?DataSetCode=TABLECODE1610 a. The population is measured at 30 June each year. 3. Where suburbs are not available in the given dataset, the suburbs when selected is then mapped to the crime location such as Pamure - link to East Auckland a. Crime http://nzdotstat.stats.govt.nz/wbos/Index.aspx?DataSetCode=TABLECODE7401 4. Housing price averages http://www.enz.org/house-prices-auckland.html a. Calculated at May each year, not June like the crime and population data. 5. 2014 Student Rolls by school https://www.educationcounts.govt.nz/__data/assets/excel_doc/0005/152609/Student-rolls-by-School-2010-2014.xls a. Only primary school deciles used. Primary schools consist of full primary, primary and intermediate schools. b. Decile average aggregated for suburbs with the above schools. Current challenges with the datasets Data reorganization Integration of the datasets using scripts was difficult without manual alteration of the dataset classifications because the different data sources used different classifications or names for the same data. Lack of data Some suburbs have projection data for population, but do not have past data. We cannot make the assumption that they are new suburbs because the list of this particular problem includes known old suburban towns such as Devonport. It is also very unlikely that the census would not have been completed in such townships. In the crime rate dataset only data for central, east and west Auckland was included. 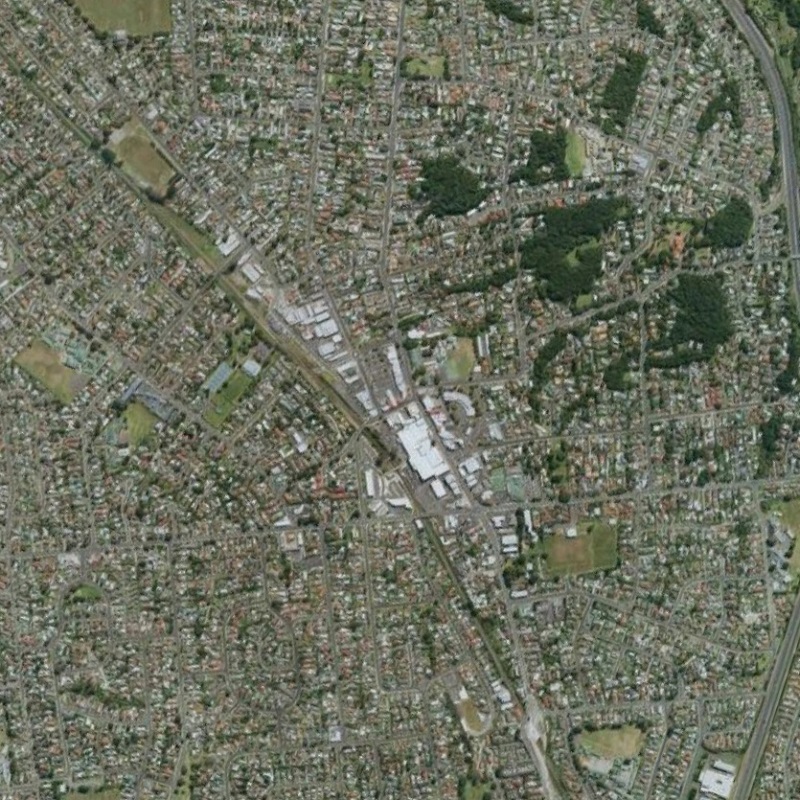 North and South auckland data was absent and therefore certain suburbs lacks such information on the visualisation. Data Imputation Since housing data is grouped to certain suburbs only and a block average for the rest of Auckland, data imputation was performed on the suburbs used in this project for the graph widget to visualise.